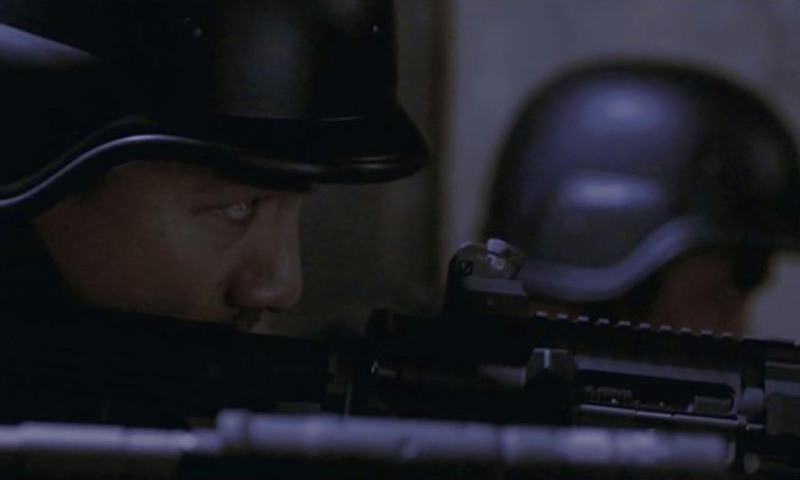 The lowdown: Welsh-born writer director Gareth Evans throws down the action gauntlet with this must-see-it-to-believe-it siege drama. 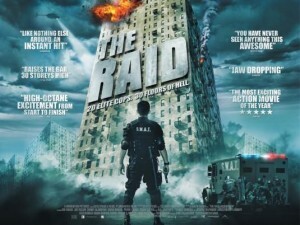 Taking the slimmest of stories – a SWAT team heads into a derelict 30 storey Jakarta apartment building that houses the city’s most dangerous criminals – he delivers a non-stop barrage of bullets, broken bones and bloody hell that will leave you reeling, gasping, applauding and cheering. If you’re an action junky, prepare for the ultimate hit. The full verdict: Director Gareth Evans’ mission statement must have gone something like this: Hard Boiled + Assault on Precinct 13 +Aliens x (Ong Bak + Die Hard) = The Raid. Believe the hype of that red band Youtube trailer, this is a jaw-dropping, face smashing bullet shredded ballistic tour de force. And not even that hyperbole does it justice. 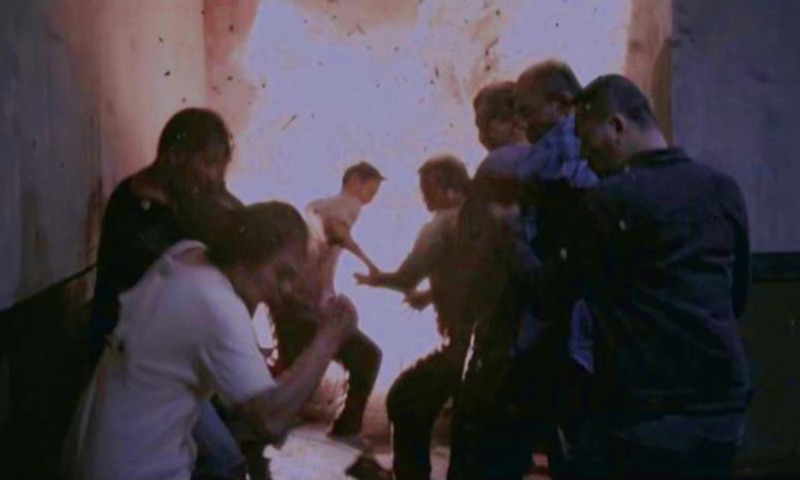 On his third film here, and second with leading man Uwais after 2009’s Merantau, Evans wisely keeps his powder dry for an opening first act that notches up the tension as the crack police squad infiltrates the imposing concrete highrise. After quietly disposing of lookouts and low level fugitives the whistle gets blown, the apartment block’s Mr Big (Sahetapy) declares open season on the invading police and the mayhem rarely lets up for the next 80-odd minutes. 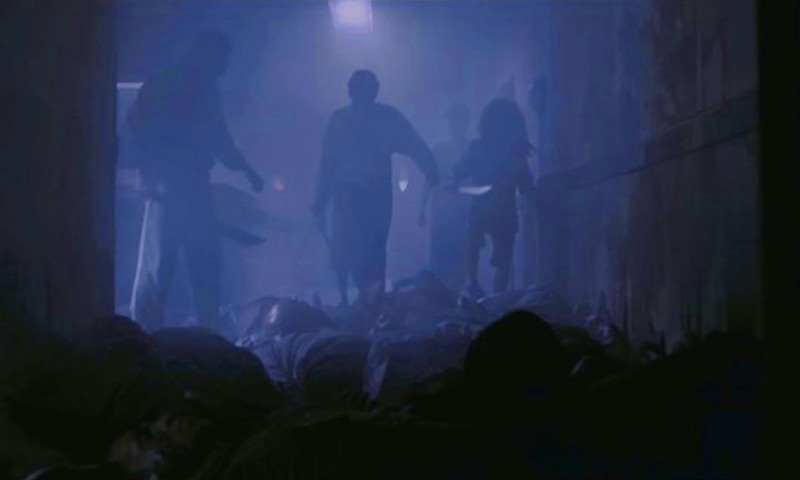 Granted, this is all inch deep; like Hard Boiled’s hospital was a metaphor for Hong Kong, the apartment block here could be read as Indonesia battling its own criminal corruption, but that’s all the mind meat you’re getting. Where this scores a bullseye is in unleashing pure, adrenalised high octane mayhem. 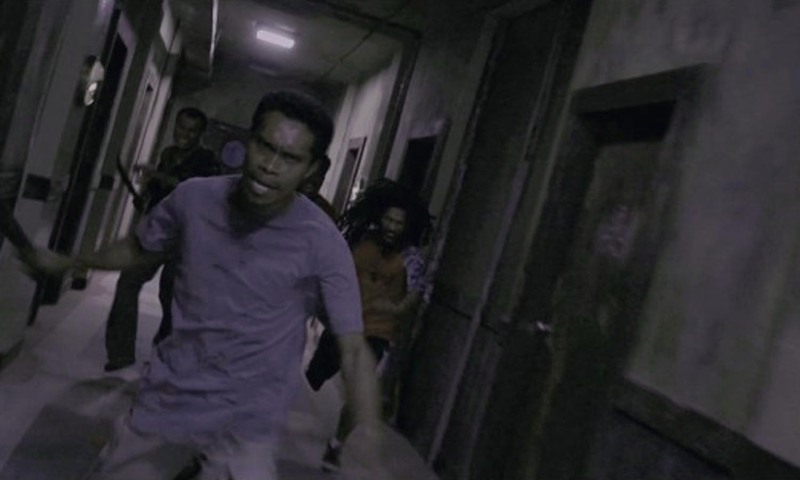 Evans, Uwais and chief baddy Ruhian concoct a series of escalating set-pieces that demonstrate just how much chaos can be wrought in barely furnished flats by highly skilled professional fighters. Machetes, assault weapons, butter knifes, filing cabinets, light fittings, fists and feet are all thrown into the ultimate smackdown. The martial art of choice is pencak silat, a crunchy style mesmerisingly deployed by the boyishly handsome and apparently lethal Uwais. Evans shoots the action with crazy angled dynamism reminiscent of Sam Raimi after one Red Bull too many and knows just how far back to step to capture the fast and furious stunt choreography in all its awesome glory. 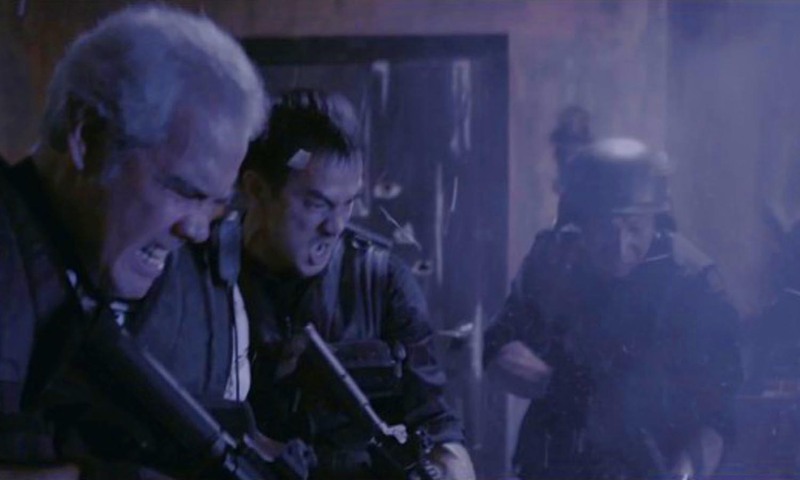 An Oldboy-alike corridor knife fight and the climactic throwdown with human wolverine Mad Dog (Ruhian) shoot straight into the martial arts hall of fame for their brutal exhilaration. Naysayers may grumble that characterisation extends only to choice of weapons used (or not used) and scoff at Uwais’ character’s pregnant wife waiting at home. But, the already greenlit sequel promises to up the ante with a much bigger story hinted at late in the day here, and Evans may have only revealed the tip of his action movie credentials. After watching this imagine what the guy could do with a car chase. 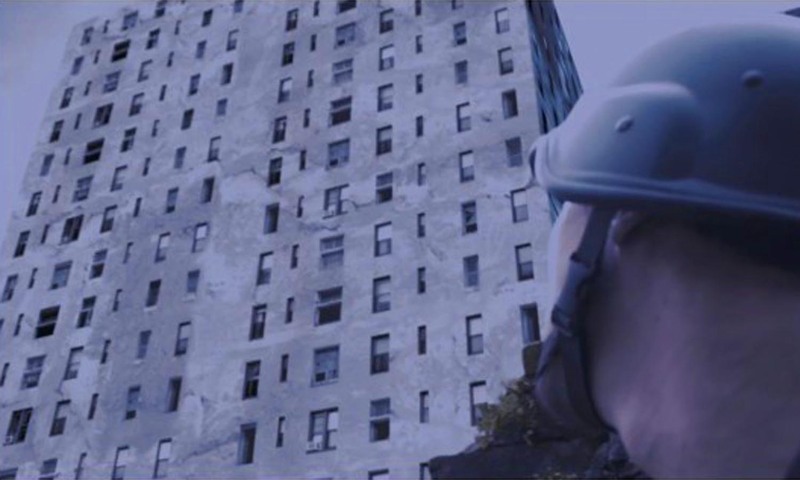 And really, how can you not love a movie that weaponises a fridge? Get your mates together and bear witness an instant action movie classic.